My blog is hosted on blogger. Can you tell? Probably not. I have removed the blogger navbar, the attribution that says "powered by blogger" and I changed my favicon to my own logo instead of blogger's logo. I also removed almost every blogger gadget on my blog and replaced them with HTML gadgets that give me more customization and are easier to edit and from my point of view I got rid of those annoying little wrenches and pencils called "quick edit" tools. I've also edited my HTML itself. HTML is all the code that goes together to create your blog. I've added HTML Gadgets but I've also edited the HTML backbone itself. Today we are going to get into a little HTML editing and adding a little CSS code. Don't worry I'm not going to get to in depth with HTML editing. Today the HTML editing is all just search and delete. The favicon is the little photo on the page tab of your browser and next to the URL. By default since you are being hosted on blogger this photo is the blogger logo. You can upload your own custom image such as your logo or a photo of yourself. Something that makes the blog your own. I'm starting with this one since it's the easiest to change. 3. Choose the photo you want to use. Make sure it is a square image. Tip: Use something big and easy to see. I used to have my logo's image and my name since that is my full logo but I changed to just the image since it is easier to see. 4. Click save and now your have a custom icon! Note: It can take up to 24 hours to update. The attribution is the text at the bottom of the page that says something like "Template by _____. Powered by Blogger" or just "Powered by Blogger"
There are 2 ways to do this, one with CSS and one with HTML. If your remove it with CSS it just hides it. If your remove it with HTML you remove it completely and you can put your own text in it's place with a text box. 2. Copy the following text and paste it in the CSS box. 3. Scroll to the bottom and see that the attribution is gone. Click "Apply to Blog"
You can put a text box in the footer above the attribution that your have hidden with CSS but by removing it this way you won't have a large blank space at the bottom of your blog. You can remove the blogger navbar by simply turning it off. Or you can remove the whole thing so you don't see it on your layout template and you will remove the gap left by the navbar. 4. Click preview template to make sure all the code is right and hasn't messed up anything. Then click "Save Template"
And the navbar and its gap are gone! 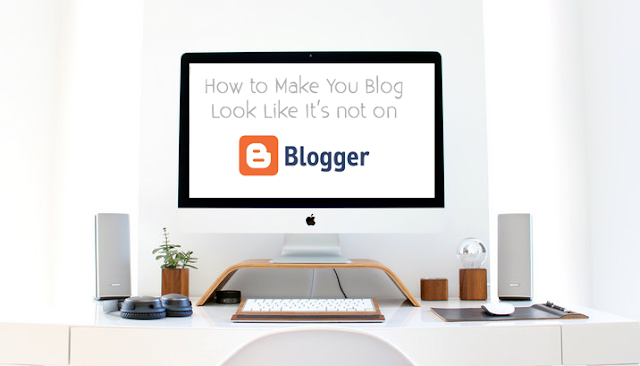 You can use an image as your header instead of the one Blogger gives you. You can edit it in photoshop or even Google Picasa. Here's how your add it. The quick edit symbols are the little wrenches and pencils you see when you load your blog. Only you can see them but it gets annoying. Hiding them is simple. Just a little CSS code. 3. Click "Apply to Blog" And those little wrenches and pencils are gone! 2. Click anywhere in the box and hit "CTRL+F" to open a search box. 4. Delete this line. Preview your template and the ATOM Feed should be gone. 5. If all is well click "Save Template" and the Feed is gone! You want to remove this and add a custom About me with a text box or add an about me page. I've added a photo with an HTML Gadget and added a small "Welcome" with a text box then made an About Me Page. If you have anymore blogger items you'd like to remove from your blog leave them in the comments below and I'll see what I can do. If this tutorial has helped you please consider leaving a like. It'd be much appreciated! Thanks for reading this post! I hope you enjoyed! If you have any questions or concerns please feel free to message me! but how can i use a picture as my header background,how can i make a long post i paste be able to shot itself and pop out READ MORE,how do i make people that want to comment not to log in into gmail before they make their comment,how can i break the line after a post,how can i use addsense on blogger domain,and how con i make about me more of me putting my Facebook,twitter,Instagram style so people can easily follow me.thanks i really hope to hear back from you.u can mil me back on tobiadesola9@gmail.com. I have just subscribed. I love your site. I too am on blogger have been for years. I tried to move to Wordpress as I was frustrated with the limits of Blogger, but hated WP and quickly moved back. I have achieved most of your list as I want my page to be more personalised. I wondered though if I could get more detail on changing the Google+ about me bit please. Blogger is a pain but Wordpress was just too confusing for me. For my about I deleted the Google+ about and added my photo with an HTML gadget and the text with a text box. You can do this in Layout on the Blogger dashboard. For the HTML photo I uploaded a photo in a new page on the Blogger dashboard then copied the HTML from the HTML section and pasted it into an HTML gadget in Layout. I'm planning on doing more Blogger how-tos soon!